Goa is a state of South India made popular among tourists by its lovely beaches. In addition to this, the state is also famous for other reasons like cultural heritage, historical sites, etc. There are also several scenic natural landscapes that provide a breathtaking view of nature. One of the things that make Goa different and unique from the rest of the country is the unique colonial influence it had compared to the rest of the country. While much of the country was colonized by the British, Goa, on the other hand, was colonized by the Portuguese, which left a very distinct mark on Goan society. As a whole, all of these factors have made this state a truly amazing and wonderful destination unlike any other. 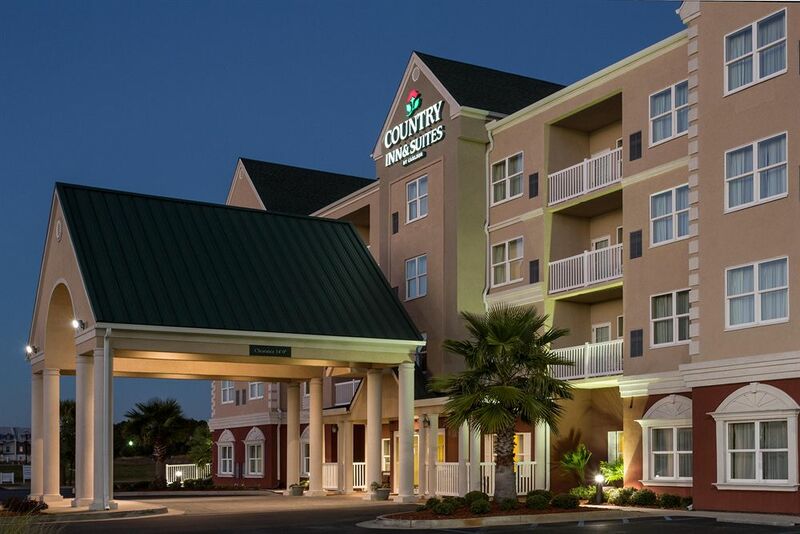 When it comes to getting great accommodations, there is certainly no shortage of choice. While most tourists prefer to go to hotels, there are others who prefer their stay to be at a resort. The usual reason for this happens to be that resorts have a more chilled out and laid back atmosphere compared to a hotel. This is especially great if the resort happens to be just a stone throw away from the beach. If one happens to be looking for excellent resorts in Goa, given below are some amazing 4-star beach resorts worth considering. 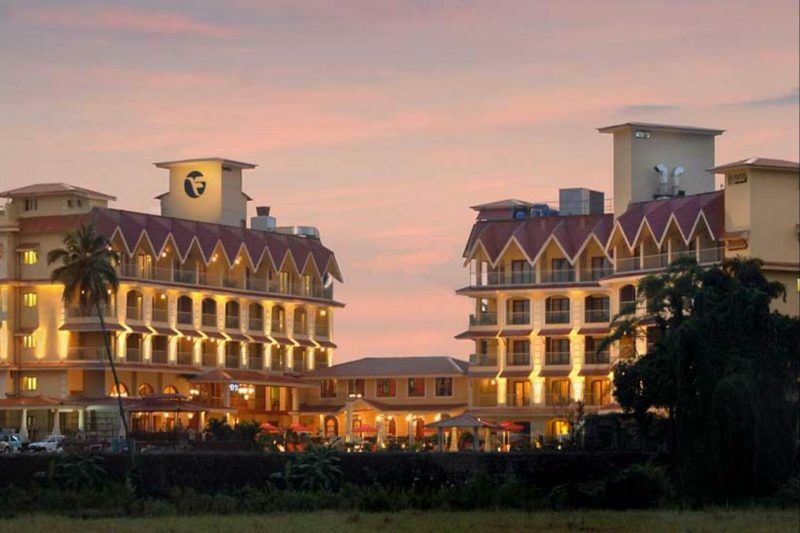 The Golden Crown is an amazing four-star resort located in the town of Colva. The resort is situated very close to the beach, with the shoreline about 500 meters away from its premises. The entire resort has been designed with plenty of attention paid to detail both inside as well as outside. The resort’s architecture is based on a hybrid of contemporary as well as traditional designs, in which one can observe a lot of elements from the bygone era of Portuguese colonialism. Apart from this, the place has well-furnished rooms with all the latest amenities needed for a comfortable stay. The facilities that are available include Pool, Room Service, Free Parking, Restaurant, Bar/Lounge, Free Internet, Fitness Centre with Gym / Workout Room, Room Service, Free Parking, Laundry Service, Conference Facilities, Airport Transportation, Dry Cleaning, Meeting Rooms, Business Centre with Internet Access, Concierge, Banquet Room, Air Conditioning, Refrigerator in room, Minibar, etc. The Dona Sylvia Beach Resort is a great place for one to spend time in, while at Cavelossim. Located very near to the Cavelossim beach, the resort is located on approximately 20 acres of landscaped gardens. 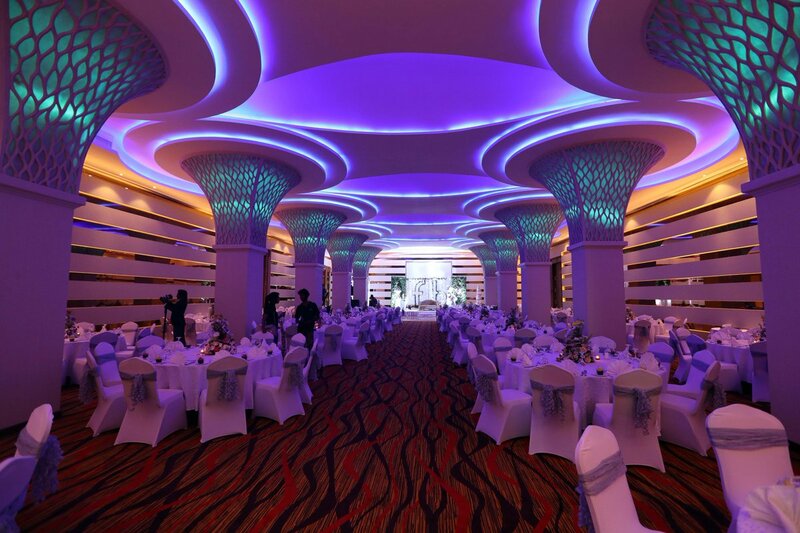 Boasting of excellent architecture and comfortable rooms with all the major facilities, the resort offers an amazing experience for all who choose to come here during their vacation. Furthermore, the beach is a very short walk away, reachable by a short walk. The Starting prices for rooms begin at Rs 4, 500. Located just across Arossim beach, The Heritage Village Resort is an excellent place for one to stay while in this seaside town. With well-furnished rooms, amazing facilities and a design based on a blend of the modern and the traditional, The Heritage Village Resort makes for a truly amazing stay. Coming to the beach, the seashore is just a short walk away. The resort is actually very close to the beach, with the Arabian Sea visible from the resort’s premises. The facilities that are available include Pool, Room Service, Fitness Centre with Gym / Workout Room, Beachfront, Restaurant, Spa, Free Parking, Bar/Lounge, Breakfast included, Room Service, Children Activities (Kid / Family Friendly), Free Parking, Airport Transportation, Breakfast included, Dry Cleaning, Meeting Rooms, Business Centre with Internet Access, Laundry Service, Concierge, Banquet Room, Conference Facilities, Air Conditioning, etc. 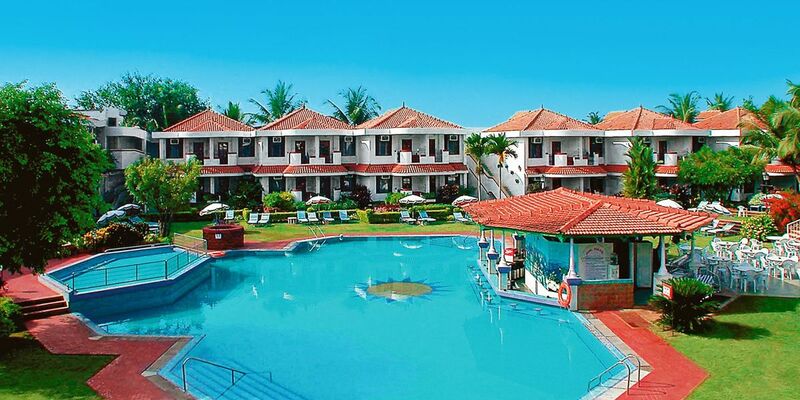 Situated in a secluded place in Bogmalo, the Bogmallo Beach Resort is one of the first five-star luxury resorts in Goa. The resort is just adjacent to the beach, with the Arabian Sea visible right from the premises. The resort, in fact, has numerous sea-facing rooms, in which guests will be able to get some amazing views of the Arabian Sea. In addition to this, there are several beautiful sea-facing cottages as well, where guests will be able to enjoy a much more luxurious and private stay. With regard to the beach, it is a very short walk away. All that one has to do to reach the beach is to simply leave the premises of the resort. There is no reason to even walk any distance other than from one’s room to the main entrance since the beach is just next door to it. The Starting prices for rooms begin at Rs 6, 100. The facilities that are available include Pool, Free Parking, Restaurant, Bar/Lounge, Beachfront, Spa, Fitness Centre with Gym / Workout Room, Room Service, Free Parking, Children Activities (Kid / Family Friendly), Shuttle Bus Service, Airport Transportation, Dry Cleaning, Meeting Rooms, Laundry Service, Concierge, Multilingual Staff, Conference Facilities, Room Service, Air Conditioning, etc. 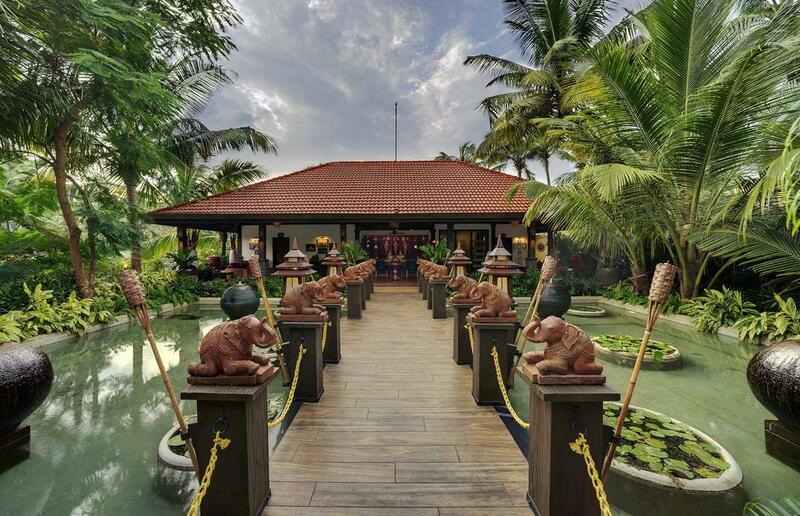 The Fortune Acron is an excellent resort located very close to Fort Aguada. luxury stay, with architectural designs reflecting the state’s colonial heritage. The entire place has been built with traditional Portuguese-Goan design, with a touch of the contemporary themes to simultaneously give it a modern ambience. The resort has several luxurious rooms with all of the major amenities and features needed for a comfortable holiday. Last but not the least; it is just a short walk away from the shoreline. The Starting prices for rooms begin at Rs 5, 400. The facilities that are available include Pool, Fitness Centre with Gym / Workout Room, Beachfront, Room Service, Free Parking, Restaurant, Bar/Lounge, Spa, Breakfast included, Business Centre with Internet Access, Room Service, Free Parking, Airport Transportation, Breakfast included, Dry Cleaning, Meeting Rooms, Laundry Service, Concierge, Banquet Room, Conference Facilities, Air Conditioning, etc. 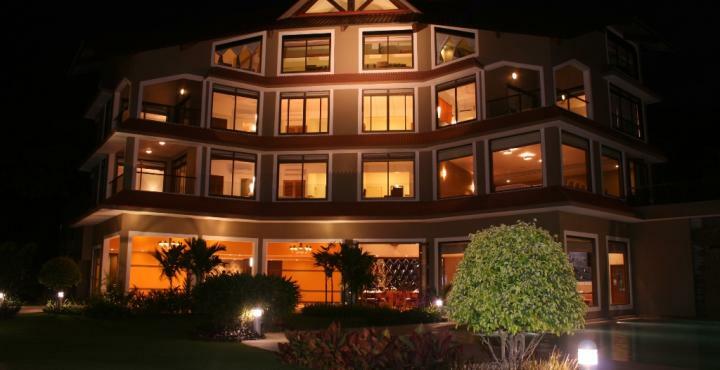 The Crown Goa is a great resort located in the capital city of Panaji. It is a great four-star resort situated in one of the most urbanized parts of Panaji. While the resort is not near the beach as such, it happens to be quite close to the Miramar beach. The beach is about a few minutes’ walk from the resort. At the same time, the resort is actually near to the Mandovi River, with the exact location being close to the mouth where the river empties into the Arabian Sea. The resort architecture has been brilliantly designed, using a harmonious blend of colonial and contemporary styles. The same goes for the interiors as well, with well decorated and furnished rooms and lobby. Those who check into the hotel can expect to have some amazing views of the Mandovi River which flows a short distance from the resort. The Starting prices for rooms begin at Rs 4, 800. The facilities that are available include Pool, Fitness Centre with Gym / Workout Room, Room Service, Free Parking, Restaurant, Bar/Lounge, Spa, Breakfast included, Free High Speed Internet ( WiFi ), Business Centre with Internet Access, Room Service, Free Parking, Dry Cleaning, Meeting Rooms, Children Activities (Kid / Family Friendly), Shuttle Bus Service, Airport Transportation, Breakfast included, Laundry Service, Concierge, Banquet Room, Conference Facilities, Babysitting, Multilingual Staff, Breakfast Available, Air Conditioning, Minibar, etc. The Mayfair Hideaway Spa Resort is an excellent four-star resort located in Salcette. Situated in a place that is surrounded by greenery on one side and the Arabian Sea on the other, it makes for an amazing stay for all who choose to come here. The place has been designed with plenty of attention paid to detail on the inside as well as outside. In addition to this, the rooms have plenty of luxury amenities and features, all of which together make for a most comfortable stay. With regard to the beach itself, the shoreline is just a short walk away from the premises of the resort. The Starting prices for rooms begin at Rs 5, 000. The facilities that are available include Pool, Room Service, Free Parking, Restaurant, Fitness Centre with Gym / Workout Room, Spa, Breakfast included, Bar/Lounge, Free High Speed Internet ( WiFi ), Room Service, Free Parking, Breakfast included, Dry Cleaning, Meeting Rooms, Concierge, Banquet Room, Conference Facilities, Children Activities (Kid / Family Friendly), Shuttle Bus Service, Airport Transportation, Business Centre with Internet Access, Laundry Service, Babysitting, Air Conditioning, Minibar, etc. The Country Inn and Suites is a luxury resort located in the town of Candolim. Located very close to the famous Candolim beach, it makes for a most wonderful stay while in Goa. The place has been designed with architectural styles that are a blend of the colonial and contemporary. In addition to this, the rooms are well furnished and have all the major amenities and features. Coming to the beach, the place is very near to Candolim beach, with the seashore being located just a short walk away. The facilities that are available include Pool, Restaurant, Fitness Centre with Gym / Workout Room, Room Service, Free Parking, Bar/Lounge, Spa, Free High Speed Internet ( WiFi ), Breakfast included, Room Service, Free Parking, Dry Cleaning, Laundry Service, Multilingual Staff, Breakfast included, Meeting Rooms, Business Centre with Internet Access, Concierge, Air Conditioning, Minibar, etc.